We all know what a pain it can be to get a good night's sleep if your other half is snoring louder than a airplane engine next to you. Countless night-time hours have been whiled away listening to partners snoring away in a peaceful sleep, while you desperately attempt to drown out the noise by any means possible. Or perhaps you’re the snorer in your family, and your family are fed up of you keeping them awake. Well never fear – we have the solution. And it’s pretty affordable too! Primark have just launched an ingenious anti-snore pillow, which promises to give customers a much quieter night’s sleep. It offers ‘firm support’ to the sleeper’s head and neck, placing them in a flat position to ensure none of those pesky snores escape. Apparently, the pillow helps to encourage better breathing, which in turn can help to reduce snoring. It’s not yet clear if the pillow stops the noise altogether, but it’s certainly worth a try. But best of all, it’s on sale for the very reasonable price of £4.50! The budget retailer’s offering joins a host of other anti-snore pillows on the market, although it’s definitely one of the cheapest out there at the moment. 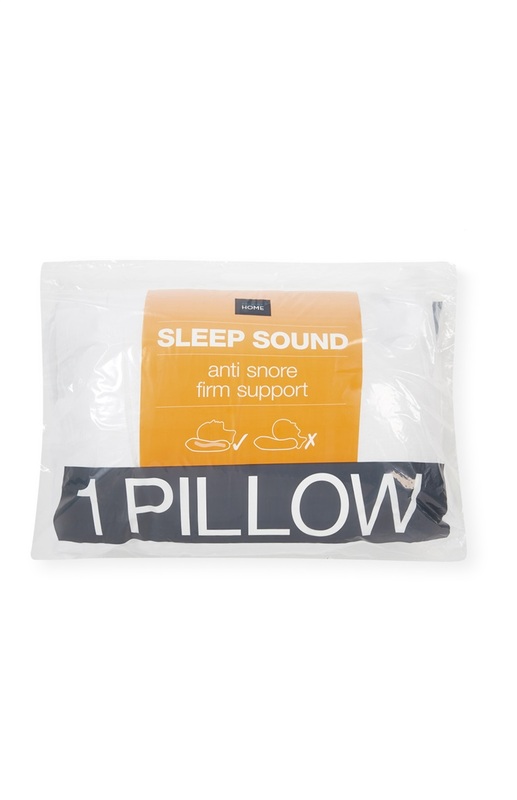 Just last month, Asda brought out their own anti-snore pillow, although it’s on sale for the more expensive price of £12. There are a host of other snore-prevention pillows available to buy too, with online website Bed and Bath Emporium selling their version for £17. Silentnight also offer a slightly more pricey anti-snore pillow, available for £19, while Slumberdown sell one for just £14. Of course, you can’t buy Primark’s pillow online as the store don’t yet have a shoppable website. However, customers keen to track one down could be lucky at their local store, so head down to yours now if you’re desparate for a quiet night’s sleep! Will you be buying one?